You are going to exchange funds on Coinmate, therefore it is necessary to have some positive balance to do the actual exchange with. Depending on the amount needed, you have to transfer FIAT currency here. We offer various ways of doing so, you can use Sofort, credit card, International or SEPA payments to fund your Coinmate balance. The amount of money that could be transferred depend on the region you are verified from and the level of verification itself. You can find these limits in the Account – Limits menu, or on the deposit form itself. We display the remaining 24 hours turnover limit there to make things easier. 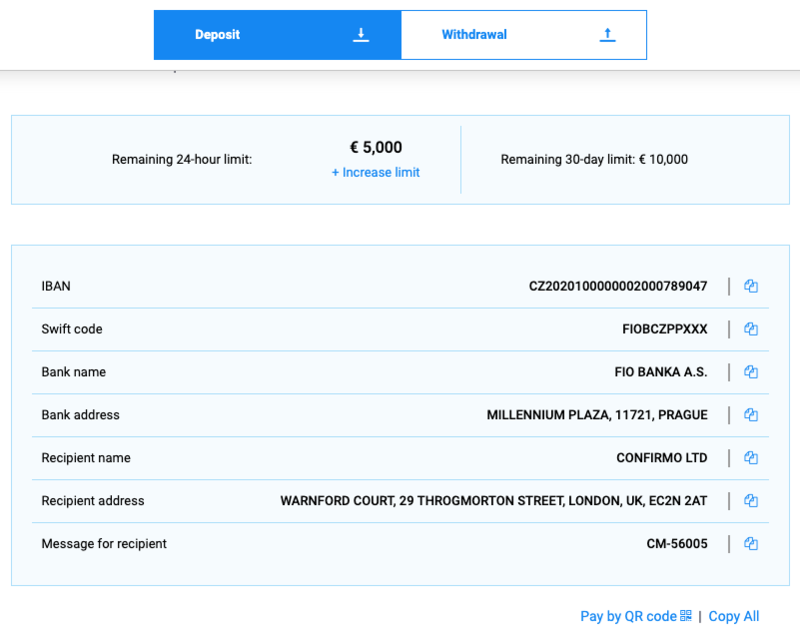 Please be careful to copy all the information precisely and to input the payment reference, that is the main part used to recognize the payment. Also, please note that it is not possible to deposit or withdraw from other than your accounts, such payments has to be returned right away. Either way you used bank transfer or credit card for example, now you have some FIAT funds on Coinmate. There are two ways how to purchase cryptocurrency now. You can either use Trade, which we will talk about in more detail later, or Quick Buy function. Trade is a standard exchange service, where you state your price for which you want to buy your desired amount of crypto. 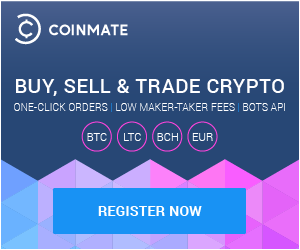 Once the market meets your offer, it is traded and desired coins lands to your Coinmate balance. 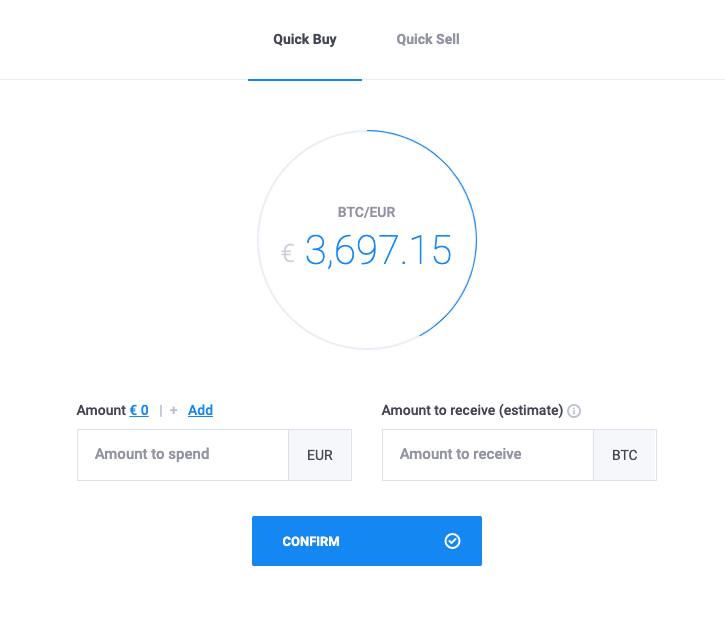 If you do not want to wait and need to buy fast, the Quick Buy function offers exactly that. You just state the amount of FIAT you want to spend, and the function picks all the orders with the closest exchange rate, combines them and buys the crypto for you. Such buy strategy works best for smaller amounts that need to be purchased fast. Larger orders could have problems with quickly changing exchange rate, not to mention their possible low exchange rate. 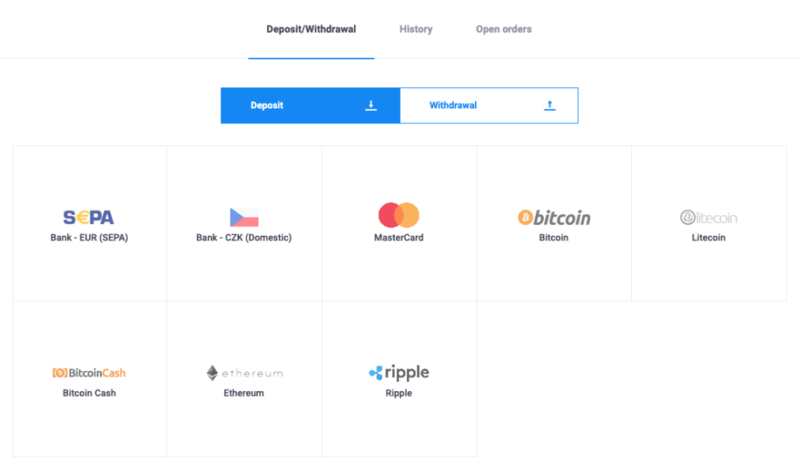 And here we are, congratulations, you have your first crypto, we are going to look more into depositing and withdrawing to and from Coinmate and also into trading of course, in next articles to come. So please, bear with us. We are happy to have you here.